Isanti Red Twig Dogwood This shrub is ‘Mountain Grown’ at Alpha Nursery and is an ‘Idaho Preferred’ Plant. birds. Isanti Red Twig Dogwood likes to be planted in full sun or partial sun. Isanti Red Twig Dogwood is useful as a specimen plant, accent, shrub border, or hedge. Plant singly or in groups for winter color. 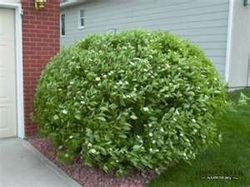 This shrub is good erosion control for moist banks. The bright red stems make a good cutting for a floral arrangement or to brighten up a table top in the winter. Isanti Red Twig Dogwood is a native shrub for our area. It is also deer resistant.